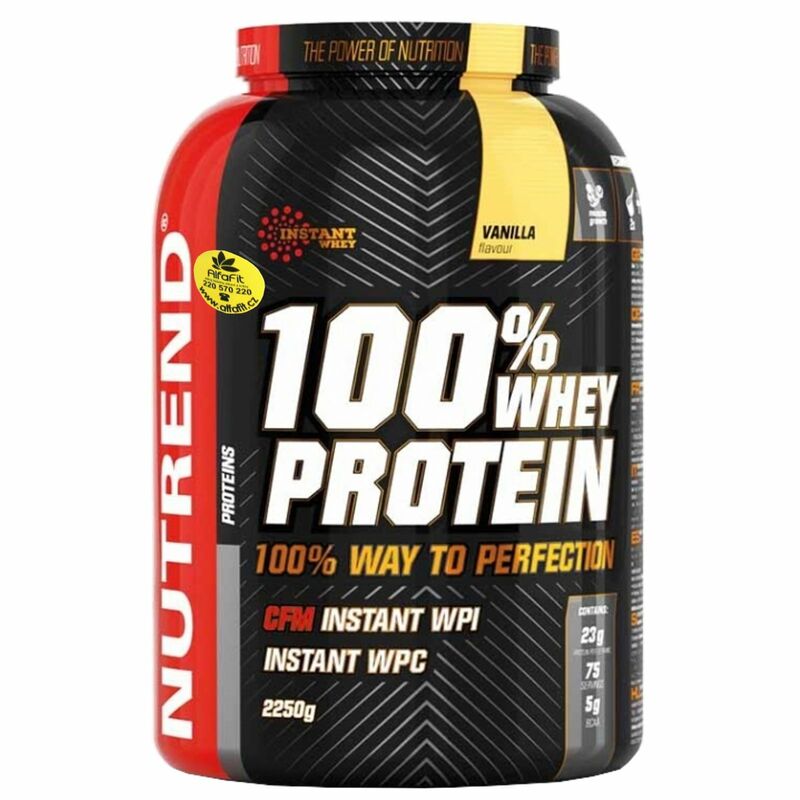 NUTREND 100% Whey Protein contains high-quality proteins that are obtained with new, high-quality technology. 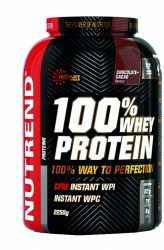 Protein Whey Protein is suitable for body shaping, reducing diets and vegetarians. 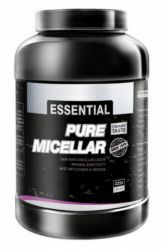 Protein will be used especially by force-focused athletes. 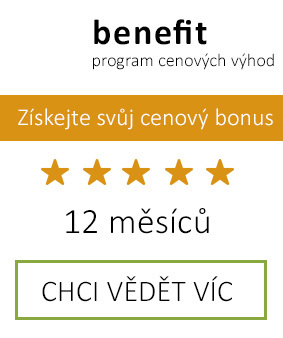 Do not buy cheap Nutrend and save products thanks to the AlfaFit.cz eshop! 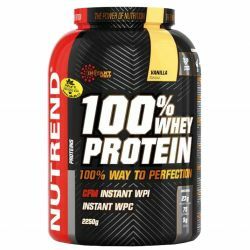 Complete range of Nutrend sports nutrition. This product represents a new production technology. 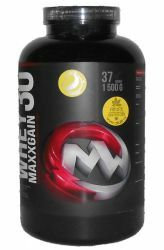 It consists of high-quality sources of ultra filtrated whey protein concentrate and whey protein isolate. 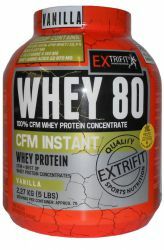 It is about 80% protein which is soluble. 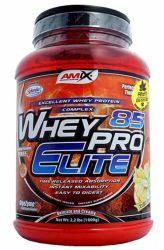 This protein has a great taste and you can enjoy it in several flavors. 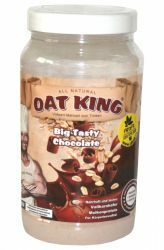 It is especially suitable for power-oriented athletes who place emphasis on high daily intake of quality protein. 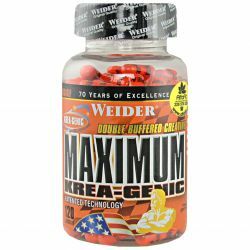 It is also intended for people who build muscle mass, reducing or holding the ketogenic diet and for vegetarians to replenish the missing nutrients. dose of 30 g mix in 140 ml water. 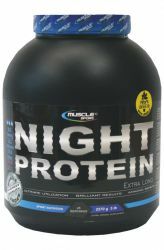 Depending on your daily protein need consume 1-3 servings daily between meals. 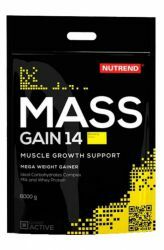 15 g = 1 scoop. 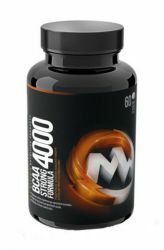 According to recommended dosage Measure and mix in a shaker. 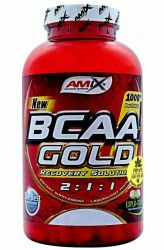 Enriched flavored soft drink with sweeteners, particularly suitable for athletes. Not intended for children, pregnant and lactating women. Keep out of reach of children! Store in a dry place below 25 ° C away from direct sunlight. Do not freeze. Producer is not liable for any damages caused by improper use or storage. The product contains lactose and soy allergens. 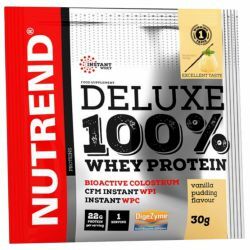 All flavors: whey protein concentrate (containing sunflower lecithin and anti-caking agent tricalcium phosphate), whey protein isolate (contains soy lecithin), cocoa (in chocolate flavor + cocoa and chocolate + cherry), wheat fiber (gluten), stabilizers gum and xanthan gum, aroma concentrate, beets (with flavors strawberry, raspberry) blend concentrate from red beet extract and spirulina (for flavor blueberry), mixture of concentrate flares bavířské and spirulina extract (for flavor pistachio), coloring caramel (for flavor iced coffee ), anti-caking agent silicon dioxide, sodium chloride, sweetener sucralose and steviol glycosides, coloring beta-carotene (for banana flavor, vanilla).